Pumpkin gets a ton of press around the fall. Everything from Pumpkin Spice Lattes, to the traditional Jack-O-Lantern and Pumpkin Pie. But what about the rest of the year? Sure, you might not be craving nutmeg and cinnamon roasted pumpkin desserts in the middle of the summer, but pumpkin has other uses beside food. I love to do DIY facial treatments. From the Peeling Mask to my Oatmeal Mask, I like to take 15 minutes to myself to relax and rejuvenate my skin. The less expensive and the easier, the better. It is the ritual that I’m after, and the soft skin is a bonus. So when I learned that pumpkin had skin lightening/evening properties, as well as zinc to combat acne and enzymes to help slough off dead skin, it seemed like a no-brainer to put it in a pumpkin face mask! 2 tbs of organic rolled oats, pulsed in a food processor until fine. 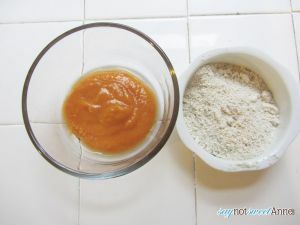 Mix the oats and the puree together and then let sit for about a minute. 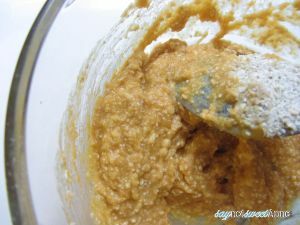 The oatmeal will start absorbing the moisture from the pumpkin, and the mixture will get thicker. For best results, steam open your pores first. Use warm water to wash your face, and then hot a hot towel over your face for 1-2 minutes. You can usually feel when your pores are opened. 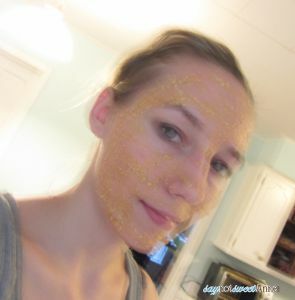 Spread the pumpkin mixture on your face. Let sit for 2-5 minutes. Rinse thoroughly! That is it! 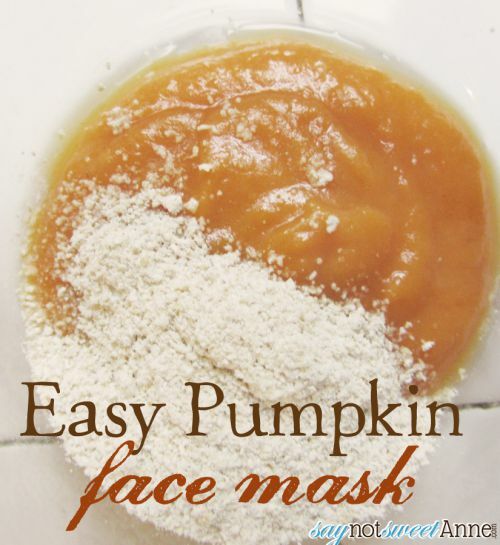 I love the way my skin feels after this mask, and it is a sweet way to enjoy pumpkin all year long!